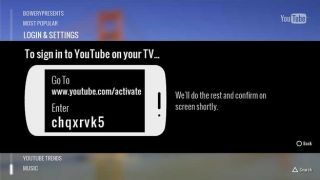 Sony PS3 users in Europe, India, Australia, New Zealand and South Africa now have access to Google's native YouTube app for the console. The free portal is available to download from the PS3's online TV/Video services menu in 19 new countries in total. The arrival of the official YouTube app frees PS3 users from the hassle of having to access videos using the console's web browser. Videos play in up to 720p HD resolution, users can summon those previously viewed as well as those added to a Watch Later folder, which is a great option for those who'd prefer to save interesting clips for watching on a larger screen. Coupled with today's news that YouTube has agreed a deal for a standalone TV channel on Freesat in the UK, it's been a good day for British-based viral video-lovers.